In 2012, Harvard Business professors Benjamin Edelman and Michael Luca launched a study to look at whether black hosts on AirBnB earned less than their non-black counterparts. Edelman and Luca examined the pricing strategy of all AirBnB hosts in New York City and found that, on average, non-black hosts charged 12 percent more than black ones. "These differences highlight the risk of discrimination in online marketplaces, suggesting an important unintended consequence of a seemingly-routine mechanism for building trust," they wrote. Earlier this year, some students at Harvard, David Wang, Stephen Xi, and John Gilheany, picked up Edelman and Luca&apos;s study and wondered whether there would be a price disparity for Asian-American hosts. "There&apos;s been a lot of studies on African Americans and how they&apos;ve been discriminated, especially in the marketplace, but not much has been done on Asian Americans," says Gilheany. The resulting study, published in the Harvard-affiliated Journal of Technology, analyzed 101 AirBnB hosts in Berkeley and Oakland and found that, on average, Asian hosts earned 20 percent less per week than white hosts, usually around $90. 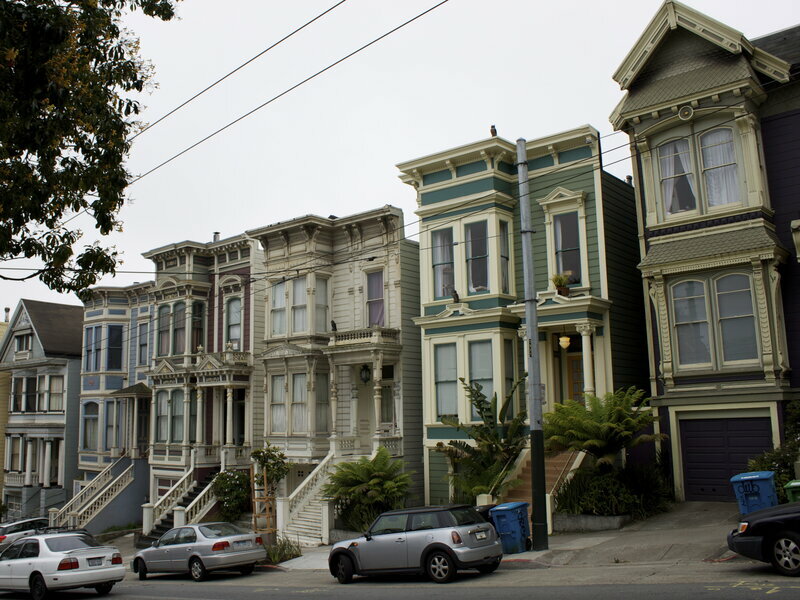 The researchers scraped data from a neighborhood on the border of Berkeley and Oakland, California — picked for its socioeconomic and racial diversity — and adjusted to account for rental type and occupancy. They also categorized hosts as Asian or white based on profile pictures. (Pictures that didn&apos;t clearly indicate whether the host was Asian or not were eliminated). They then created an equation to estimate the difference in room prices between white hosts and Asian hosts, and ran the numbers. Their model predicted that Asian-Americans, on average, earn $89.72 less per week than their white counterparts for a bare minimum setup of a one-bedroom rental for occupancy of one person. If the rental were for two bedrooms for one person, their model predicted that the difference would be even greater, with Asian-Americans making on average $144.45 less per week than white hosts. There may be many different explanations for this, said Wang, including the fact that Asian Americans lower their prices to compensate for an inherent discrimination against Asians. "It&apos;s interesting to see this extreme difference, especially in a peer-to-peer network," Wang said. Ellen Wu, associate professor of Asian American studies and history at Indiana University, says that this study might also point to historical issues of discrimination. Americans have a long history of valuing Asian labor more cheaply than white labor, she says. "Consumers come to expect paying Asian people less," Wu says. "We&apos;ve come to expect cheaply priced products in places manufactured in places in China." She points to the "cheapness" of Chinese restaurants as an example. I contacted several of the Asian AirBnB hosts used in the study and asked them if they felt like race played a factor in the way they priced their rooms. Almost everyone who got back to me said that they didn&apos;t feel like that was the case. One host wrote, "Please don&apos;t quote me in the story, I never talk about race." But Luca, one of the professors who conducted the study on black AirBnB hosts in New York City, says to take that with a grain of salt. Oftentimes people who are discriminated against don&apos;t have anything to compare it to, he says. "They only have one data set—themselves. Also, many people don&apos;t fully understand the role that subconscious discrimination plays in decision-making." This most recent study suggests that no matter how much a minority appears to have assimilated into the mainstream white culture, they are not necessarily treated as equals. Asian Americans have spent years cultivating an image of respectability, going all the way back to post-World War II. At the time, in an effort to quell xenophobia, groups like the Japanese American Citizens League encouraged members to act like model American citizens and engaged in marketing campaigns to extol the virtues of Asian values. Since then, Asian Americans have successfully cultivated an image of the "model minority." However, studies like this one suggest that "respectability" isn&apos;t a solution to discrimination — it merely hides it. As Guardian writer Zach Stafford wrote in the wake of Ferguson, "No matter how respectable you may be acting, your performance isn&apos;t undoing the very real systematic ways in which our world operates."